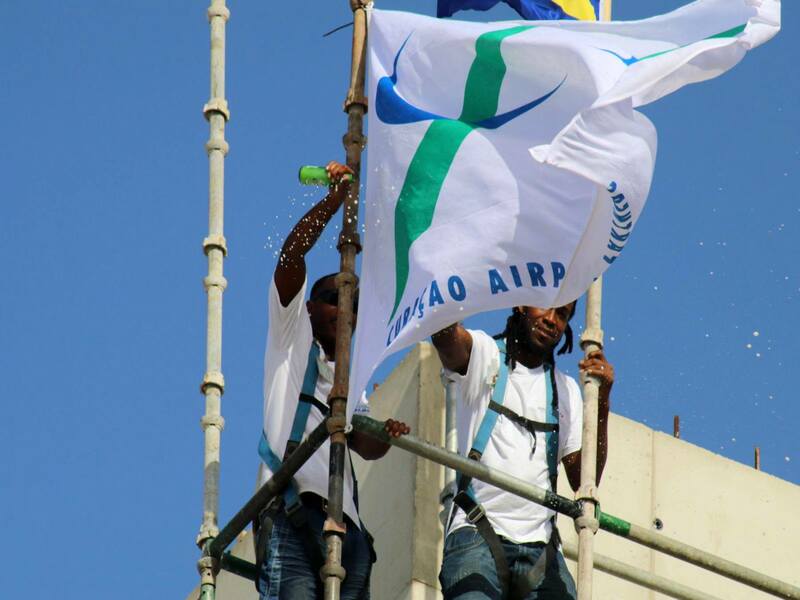 Willemstad – On June 1st Curaçao Airport Partners joined by the Prime Minister of Curaçao Mr. Rhuggenaath, the Airport Community and Albo Caribbean and its subcontractor’s celebrated reaching the highest point of the Terminal Expansion Project. Curaçao Airport Partners in collaboration with Curaçao Airport Holding are continuously developing the Curaçao International Airport in order to offer and excellent experience to passengers traveling to and from Curaçao, persons visiting the airport, and the airport community offering their services at the airport. Following this milestone and through continuous collaboration with CAH and partners, CAP will continue with the development of the terminal, which when inaugurated, will have doubled the Departure waiting area. In addition to a more spacious area for arriving, departing and transit passengers, Curaçao International Airport will gain an additional bridge that will be able to process and offer services to large wide-body airplanes.